Mantis Tours is a local tour operator, which is located in Eilat (Israel) . We are specialized in tours to Petra Since 2010. The tours to Petra that we offer are definitely the best choice that you can make, and we let the testimonials of our clients in TripAdvisor and YouTube to speak in our behalf. 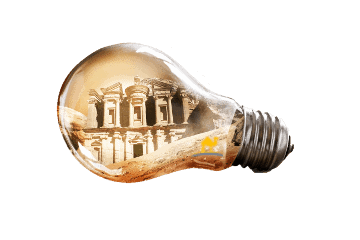 Our uniqueness is in the high level of personal service that we offer to our clients, and the careful attention to all the little details that make each and every Petra Tour to a perfect trip and a great experience. Starting from our professional representative in Eilat, who will pick you up from your accommodation and offer you as a gift fruits of the season; to our professional representative in Jordan, who will wait for you right at the entrance to the border, and take you to your professional tour guide from our selective team of experts; continue to the carefully planned tour itinerary and superior hand-picked restaurant and hotel; and lastly with our representative in Eilat, who will wait for you after the tour to take you back to your accommodation, and give you a personalized souvenir. We invite you to select and book with us the best tour to Petra that suits you from the wide variety of tours to Petra that we offer. You are also welcome to contact us with any question that you might have. Our team of experts is ready to assist you online, on email, phone, chat, Skype, Messenger, WhatsApp, Viber and Telegram. Entrance fees to Petra for 3 days. 3-star hotel in Petra on HB basis for 2 nights. Free time to explore Petra on the second and third days. Pick-up from your hotel in Aqaba. Transfer back to your hotel in Aqaba. Pick-up from your hotel in Amman. Transfer back to your hotel in Amman. Introductory scuba diving in Aqaba.